One teenage pro gamer notes that he’s not only comfortable financially, he’s spending less time working than he would at a regular 9-5 job. The discrepancy in valuations, according to Chris Hopper, head of North American Esports at Riot Games, maker of the monumental hit "League of Legends" (LoL), is partly due to the fact that esports is “tough to contextualize” within the broader gaming scope. It all comes down to the question: When does a game qualify as a sport? "There are still no rules and regulations that apply across the board,” he told NBC News. Esports advertisers and sponsors aren’t necessarily looking to cash in on so-called mainstream audiences. They’re appealing to “a demographic of people that are generally more elusive; people who are not spending much time or money on music or movies and can be hard for brands to reach,” said Paul Brewer, SVP Brand Partnerships, ESL. “As with any emerging market, this is a risky investment space. It is the Wild West, in many respects,” said Glenn Platt, a professor of marketing and interactive media and director of the Armstrong Institute for Interactive Media Studies at Miami University in Ohio. “There is no consistent market leader, no coordination, no clear regulatory structure, no aggregating organizations like networks, leagues, etc. We can’t even settle on what is 'doping,' let alone who can play pro and who cannot. Prize pools are variable and endorsements are risky. Games emerge quickly (like 'Fortnite') and can disappear just as fast. Investing in any market at this early stage is high risk, high reward, to be certain." So where does the player come in and how do they make cash from competing? It truly depends on the team and its contract, but while players like "Fortnite" legend Tyler “Ninja” Blevins top $500,000 a month, most contracted esports players won’t make anywhere near that. 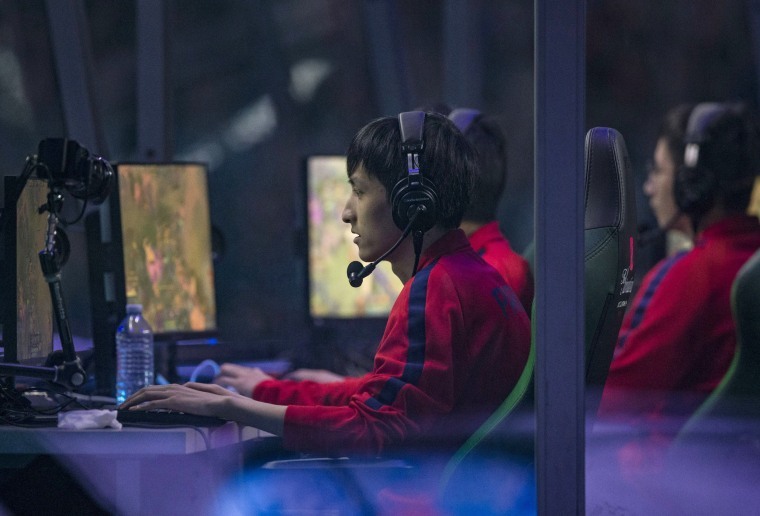 "League of Legends’" official pro players make a yearly minimum salary of $75,000. Fergie, in his home of Belfast, Ireland when the gun violence broke out in Florida, was rattled by the news. “That was just crazy,” he said.